Description: This park is all concrete. 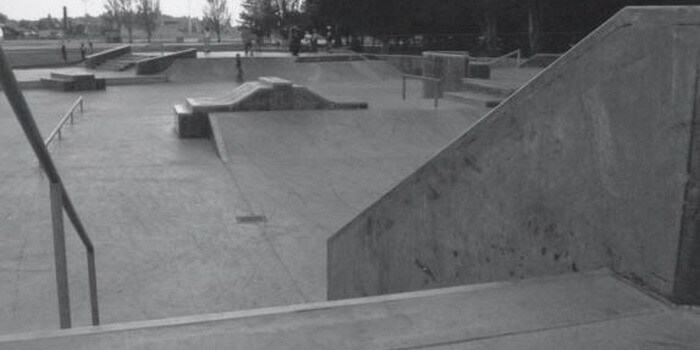 It is all street obstacles, containing various ledges, banks, handrails, etc. There are a couple small quarters. A great street park. There is a ten stair with a full size handrail, a flat rail, lots of gaps and step-ups. This park is sick for tech skaters to practice their tricks (there is a large flat area for practicing flip tricks). There is also a loading dock-type obstacle which is about 5 feet high to bust off.